A new option control was added in product settings. Width & Height allows to create a price matrix for different sizes and calculate price according to it. Settings: Go to Dashboard > Products > Products & Categories > Options & Components where click on Option and select for Option Control Width & Height. Please note, on this page you can also find a new checkbox to hide option name which is especially useful for Width & Height option control. Next scroll down and specify the Measurement Unit. There are three types available: mm, cm and in. This value doesn't influence anything except for displaying on the front end so you can rename the units anytime at Settings > System > System Static Messages. Below the Measurement Unit is a Price Matrix table. It consists of the two rows Width and Height and Price in the middle. For each Width and Height combination you should specify a price or put zero. 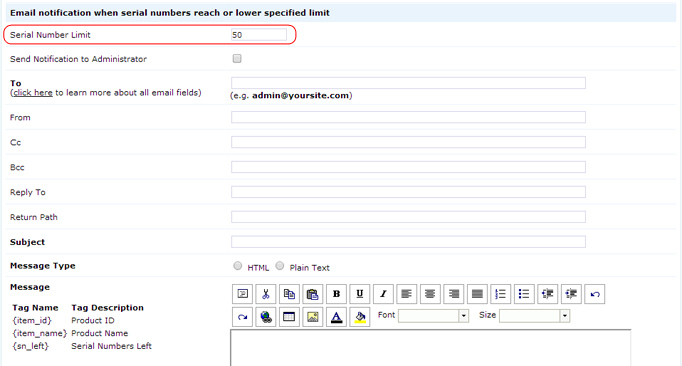 To add a new column click Add and to remove one click on Cross button. 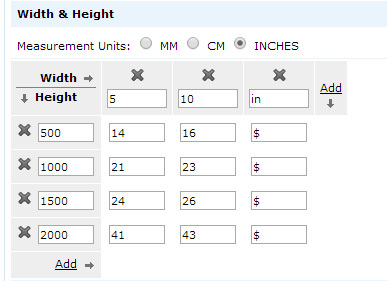 After you finish editing go to products list or product details page to see the new fields for putting Width and Height. By default system puts it brackets the highest and lowest values and gives an error when wrong values are inserted. Please note it's allowed to use values in between, for example when in price matrix there are 50 and 100 cm length, customer can insert 80 cm and in this case price will be calculated as for highest value (100 cm). 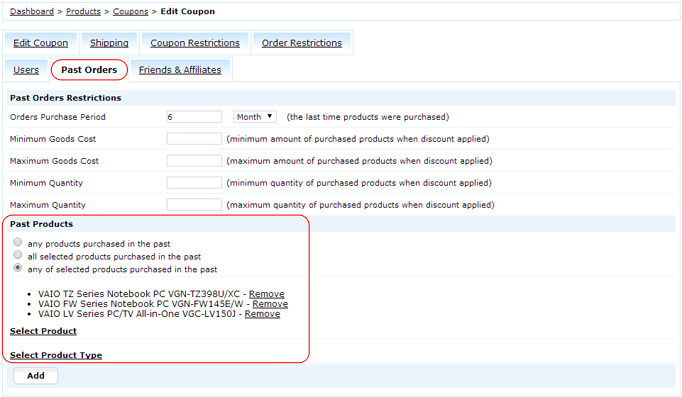 Past Orders is a functionality for setting the limit how much customer had to buy in the past to deserve a discount. Before you could set only general amount, for example customer needed to spend $500 the last 3 months and now you can select exactly what products customer had to buy. This opens possibilities for coupons like "Buyers of iPhone 5 will receive iPhone 5s with 20% discount" or "Owners of VideoGame1 can buy new missions for half the price" etc. If you're using Predefined Serial Numbers sooner or later you will reach PHP limit for number of values on the same page and it will take more and more time to open and save the product page. To avoid this problem there was added a pagination on Downloadable tab. Every one hundred serial numbers receive a new page and thus don't overload the system. 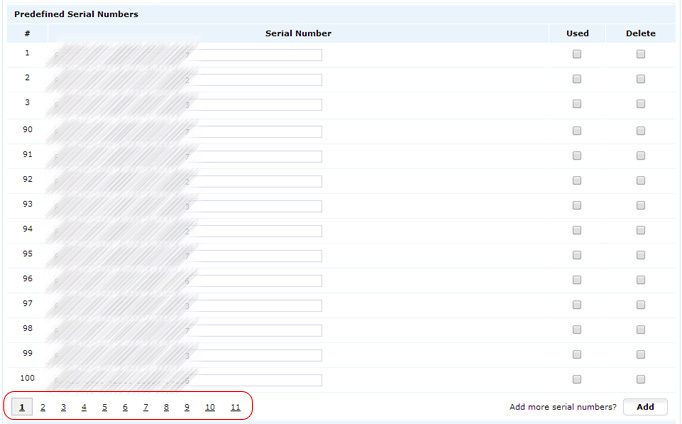 When almost all predefined serial numbers are used there is a possibility to send a notification to administrator with a reminder to add more serial numbers. Settings: Go to Settings > Products > Downloadable Products > 'Serial Numbers' and specify the Serial Number Limit when notification should be triggered by the system. For example if you put 1000 serial numbers in the product you can set notification for 50th serial number to have enough time for getting more serials. On demand of many customers there was added an RSS support in Forums. Now it's possible to subscribe on favorite topics and receive regular updates in the RSS Reader. This option was also added on viart.com's Patches 4.2 forum. Settings: Go to Dashboard > Forum and click 'Edit' next to some Category name. In the RSS Settings activate RSS, select where to show RSS sign and specify how many records should be shown. 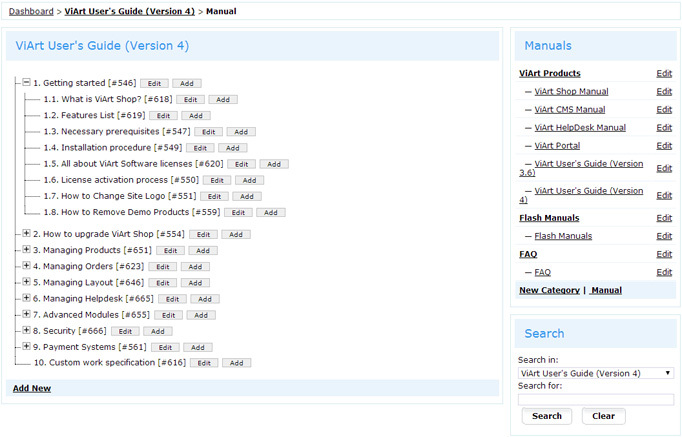 Manuals now have a new improved category tree structure. Ajax helps to navigate through categories and articles much faster and visualizes the manual tree for administrator. There was added a new option Redirect to Category in Article Categories. If you you need to reference outdated category to the new one this is the setting you need. Enjoy the new version and don't hesitate to contact our support team if you have any questions about new features or upgrade.